Put a smile on your patient's face in no time. 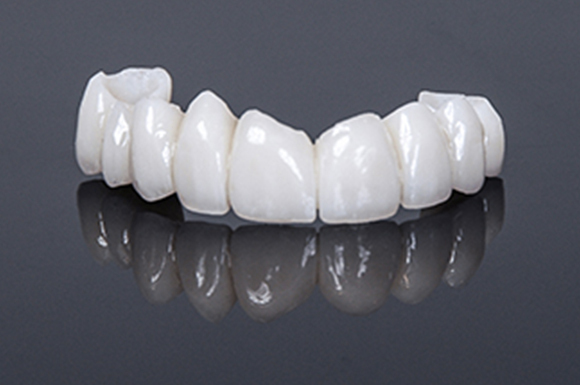 At CRH Oral Design, we understand the patient's desire to have a natural-looking temporary. Our Oral-Temp®system will put a smile on your patient's face in no time. 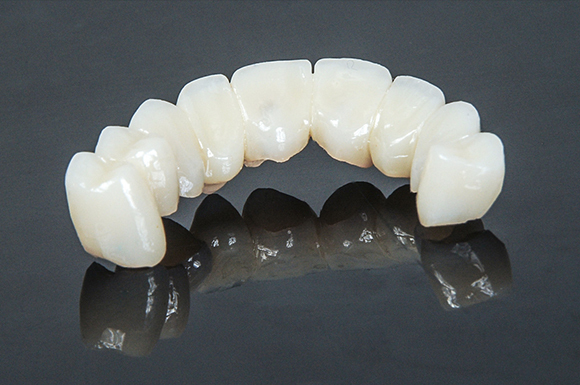 These splinted crowns and full-arch bridges restore lost vertical dimension and promote contoured healing for ovate pontics or anterior extractions. They are also recommended by periodontists for patients who will undergo tissue therapy. Oral-Temp® implant provisionals serve as natural-looking temporaries at any stage of implant treatment. Because Oral-Temp® retains the position of the gingiva, there are no surprises on the patient's final visit, making it ideally suited for obtaining patient acceptance prior to prescribing the final restoration. All you have to do is send us a pre-op model or an impression and we will create a temporary restoration that fits, protects tissues, stabilizes occlusion, and provides the best aesthetic results for the patient. After preparation, simply reline and cement . The Oral-Temp® label is a guarantee of attentive and conscientious work.